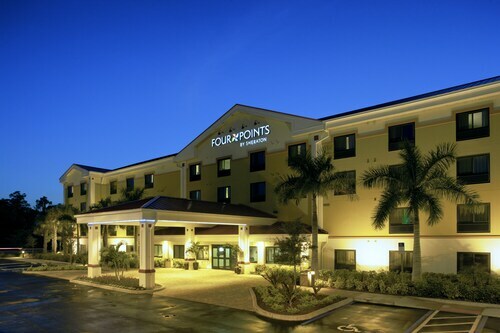 Situated near the airport, this hotel is 1.7 mi (2.7 km) from JetBlue Park at Fenway South and 2.8 mi (4.6 km) from Legends Golf and Country Club. Gulf Coast Town Center and Lee County Sports Complex - Hammond Stadium are also within 6 mi (10 km). 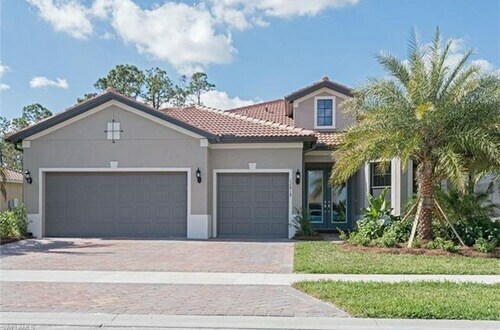 Situated in Fort Myers, this vacation home is 1.9 mi (3 km) from JetBlue Park at Fenway South and within 6 mi (10 km) of Westminster Golf Club and Legends Golf and Country Club. Lee County Sports Complex - Hammond Stadium and Hammond Stadium are also within 9 mi (15 km). 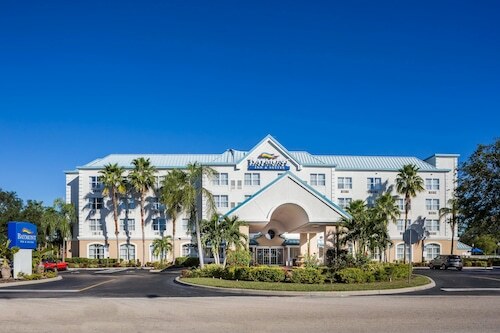 Just off Interstate 75, this Florida hotel is less than 3 miles from Southwest Florida International Airport, 9 miles from downtown Fort Myers, and 15 miles from Fort Myers Beach. 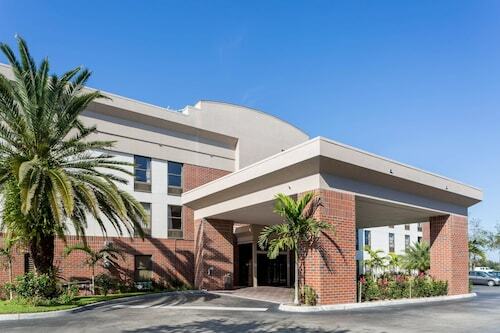 Situated in Fort Myers, this condo building is close to JetBlue Park at Fenway South. Area attractions also include Gulf Coast Town Center and Hammond Stadium. Question : What is the cheapest date to fly to Fort Myers? Answer : May 2nd has bookings (as of Apr 15th) for as little as $500. That comes in 18% below the average price. Saving on flight costs gives you more moolah to spend on your trip. Answer : Yes, you can change your departure or arrival date. If you would like to save a little cash in doing so, the cheapest day to fly in April is Thursday. Question : How much is a plane ticket to Fort Myers (RSW) from Spokane (GEG)? Answer : They can range from $500 to $1,134. Booking far in advance can normally help you get the cheapest rate. Prices tend to be lower the further out you book. Question : How much time do people spend in Fort Myers? Answer : The average time spent sightseeing in Fort Myers by travellers from Spokane is six days. Question : What is the cheapest airline flying from Spokane to Fort Myers? Answer : American Airlines is your best bet for finding that in demand low fare. They offer fares as low as $500, while rates for similar flights can cost as much as $1,134. Answer : The cheapest day to fly from Spokane to Fort Myers is on Thursday. If you would like to save some money on your next holiday look for flights on Thursday.